On Friday, the Texas Department of Public Safety and Lubbock County DA's office confirmed that the Texas Rangers have opened an investigation into the office of Lubbock County Medical Examiner. “The Lubbock District Attorney’s office asked that the Texas Rangers would investigate allegations made against the Medical Examiner’s office. Those results will be released to the DA’s office," DPS Lieutenant Bryan Witt said. The Lubbock County DA's office issued a brief statement about the investigation. "The Lubbock County Criminal District Attorney’s Office, through elected D.A. Sunshine Stanek, has made a referral for investigation to the Texas Rangers in order to address any and all potential allegations with the Lubbock County Medical Examiner’s Office. "As a result of said referral for investigation, the Lubbock County Criminal District Attorney’s Office has no further comments at this time regarding said matter. "Any further inquiries can be made to Lt. Bryan Witt, Public Information Officer for the Texas Department of Public Safety," the DA's office said. “Because of the referral for investigation, our office is not at liberty to go into specifics,” Burt said. We also reached out to Lubbock County Judge Curtis Parrish. “I can’t comment on any ongoing investigation," Parrish said. The upcoming Lubbock County commissioners meeting includes an agenda item to authorize the review of an agreement with NAAG Pathology Labs, P.C., the company hired to administer and operate as the Lubbock County Medical Examiner’s Office. Natarajan claims he was never told by Lubbock County officials what allegations were made against him. The Texas Medical Board has also subpoenaed information about the Medical Examiners's office as well as a copy of the agreement with NAAG Pathology. In 2015, a former deputy medical examiner with Lubbock County Medical Examiner’s Office filed a lawsuit after being placed on paid administrative. 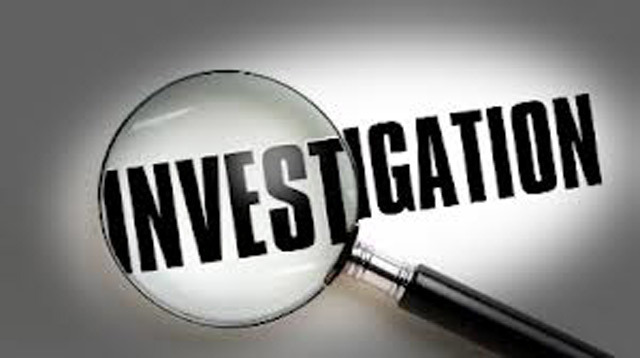 The former worker claimed she was placed on leave for reporting multiple illegal activities taking place at the Medical Examiner’s Office, including the backdating autopsy reports and unqualified personnel performing autopsies.